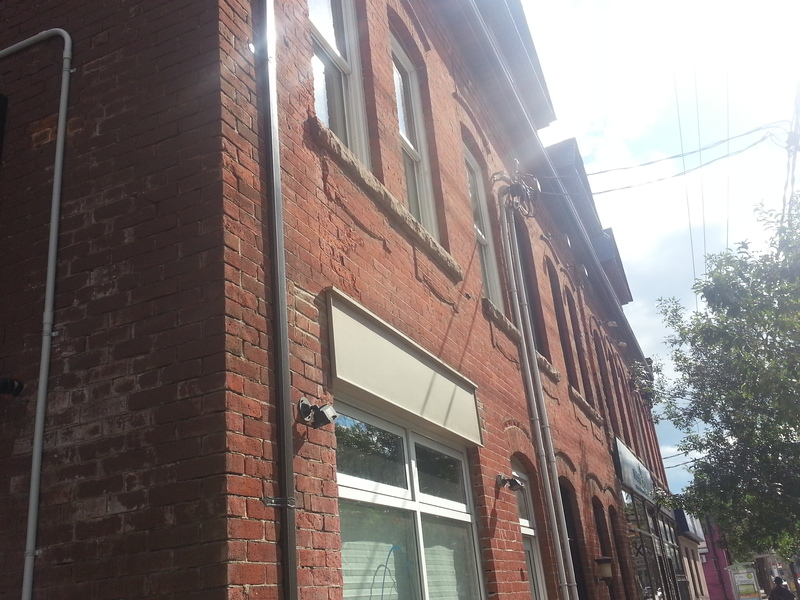 Deep in Leslieville lies Carlaw Avenue, a historic manufacturing street in Toronto that fell victim to and adapted with changing times. 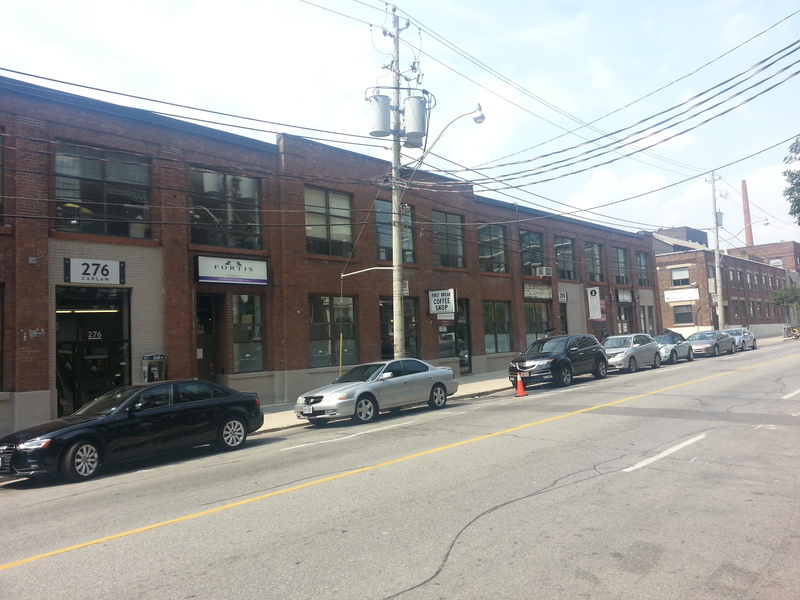 Perhaps the fitness studios and shiny condominiums might mislead otherwise, but Carlaw still has the remnants of a onetime working class neighbourhood. 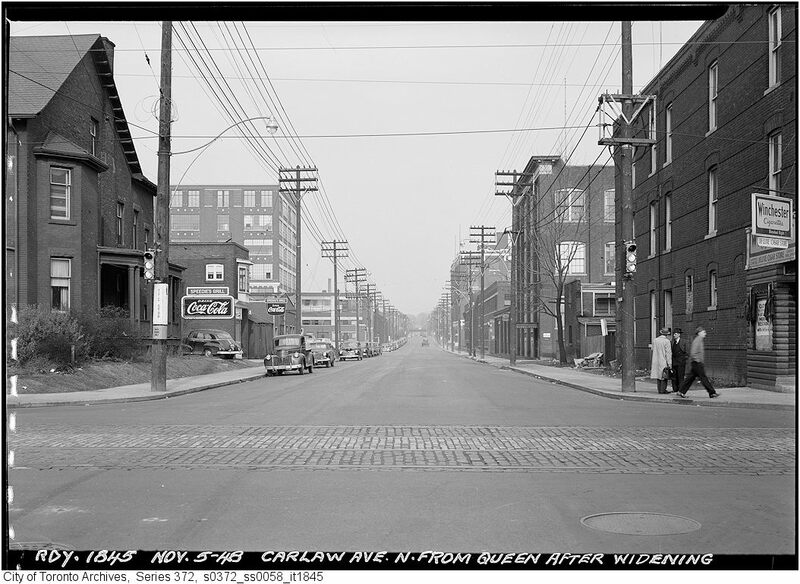 At one time factories lined the avenue from Queen to just north of Gerrard. 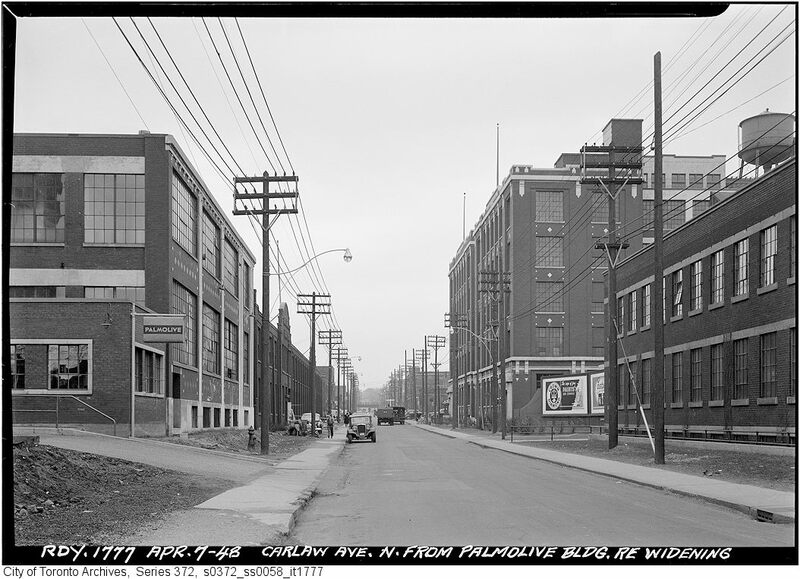 During World War I and II, they were used to produced munitions (as a now defunct Carlaw bus route serving Sunday workers suggests). 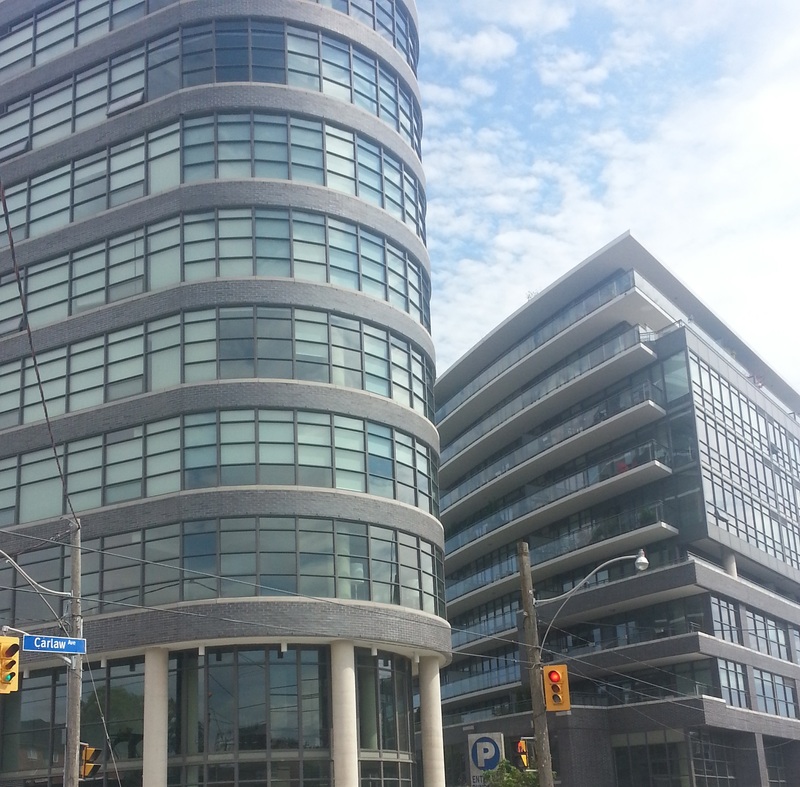 But much like the situation with other areas in the city (The Waterfront and Liberty Village, as examples), companies began to fold their operations as it no longer became viable to run in the middle of an urban centre. 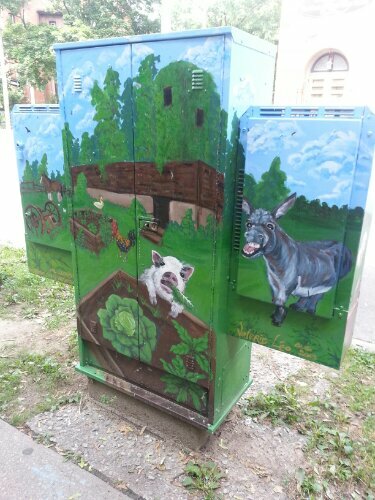 The results were transformational for the street. With buildings stripped of their original use, they became anomalies in their increasingly residential surroundings. 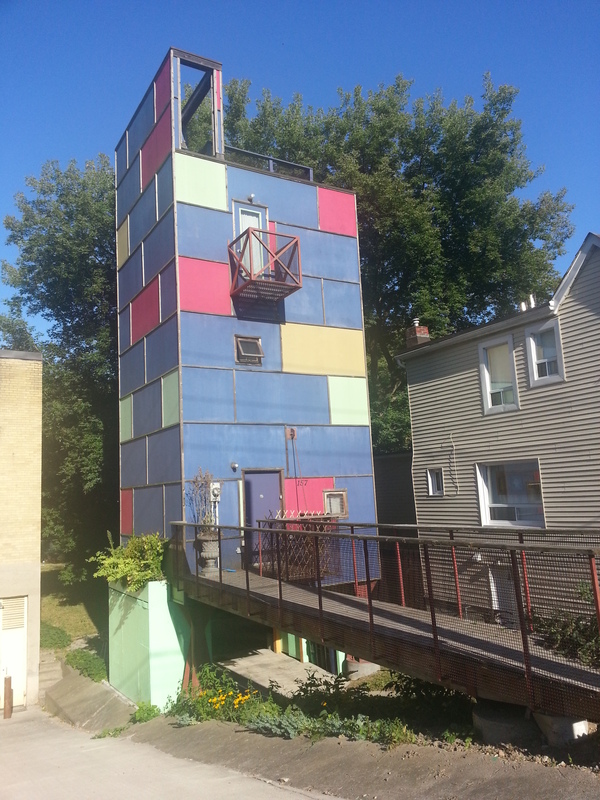 Their fates fell into one of two holes: re-purposing or demolition. 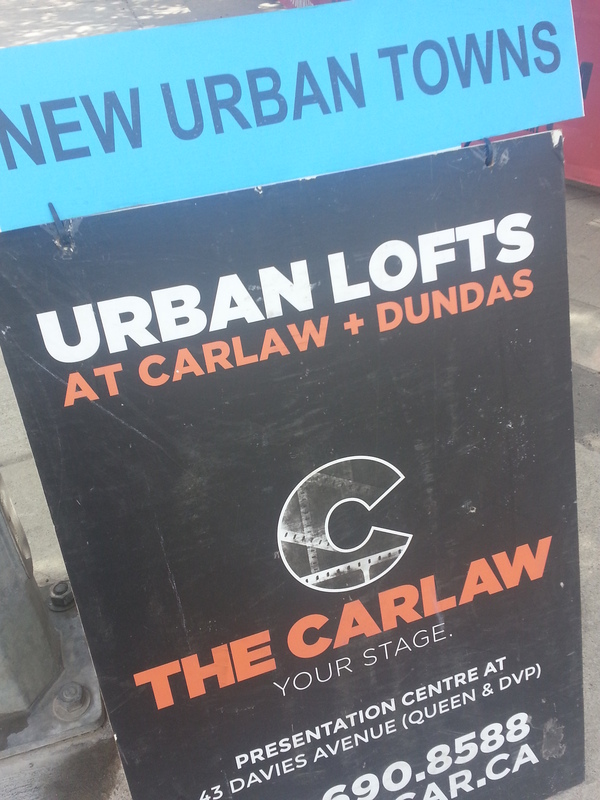 Carlaw seems to have employed both. 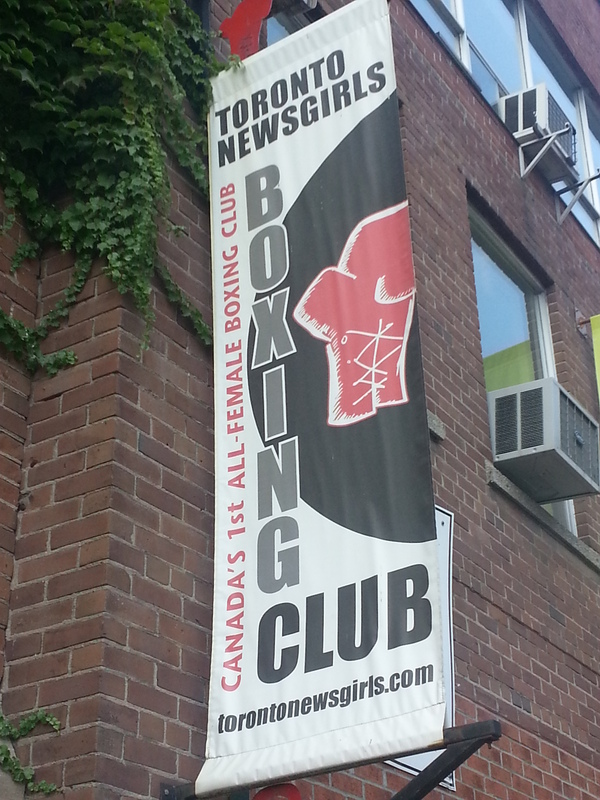 Beginning just north of Queen on the east side is the former enterprise of Kent McLain. 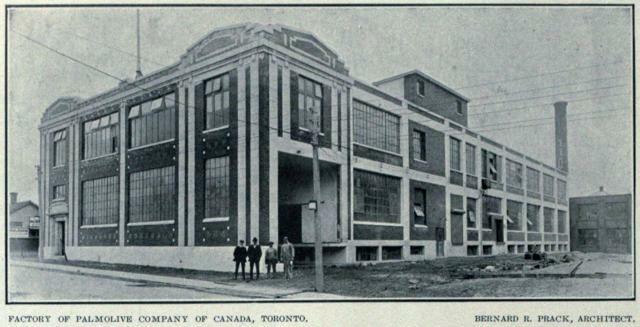 According to the 1910 City of Toronto Directories, Mr McLain was in the business of showcase manufacturing at 181-199 Carlaw Avenue. 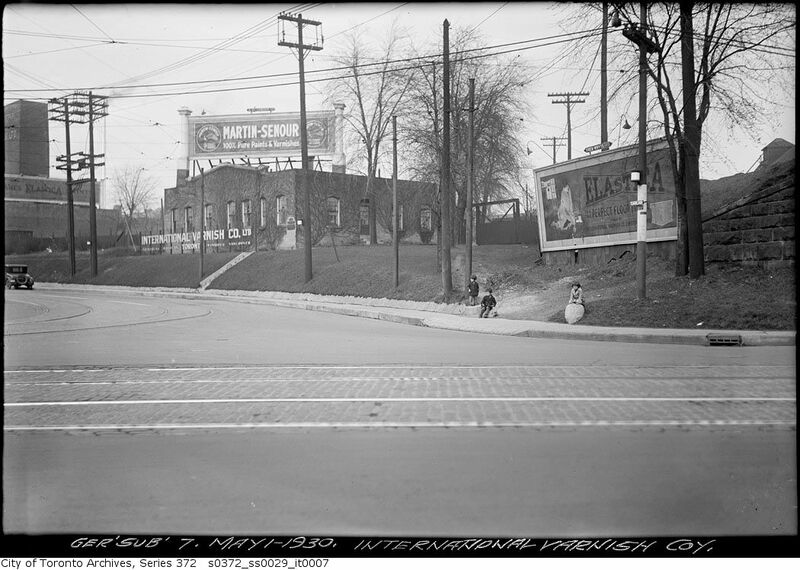 Where the street intersects with Colgate is the site of the Colgate-Palmolive Plant, now demolished. 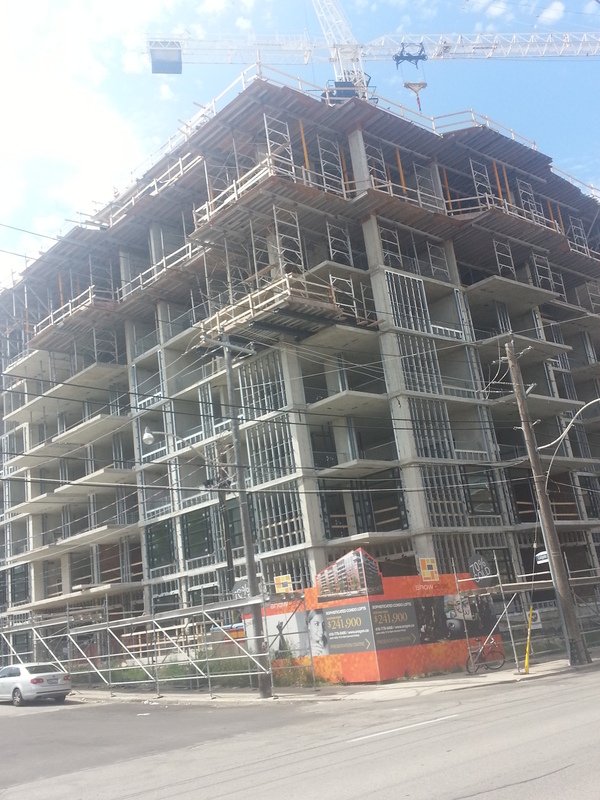 Currently the frame of a new condo is going up. 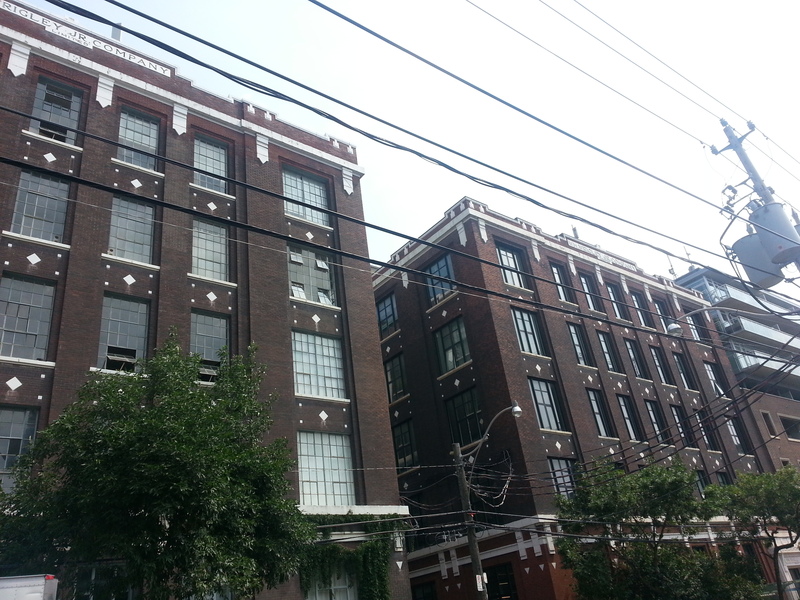 Across the street, there are two former factories that have been adapted. 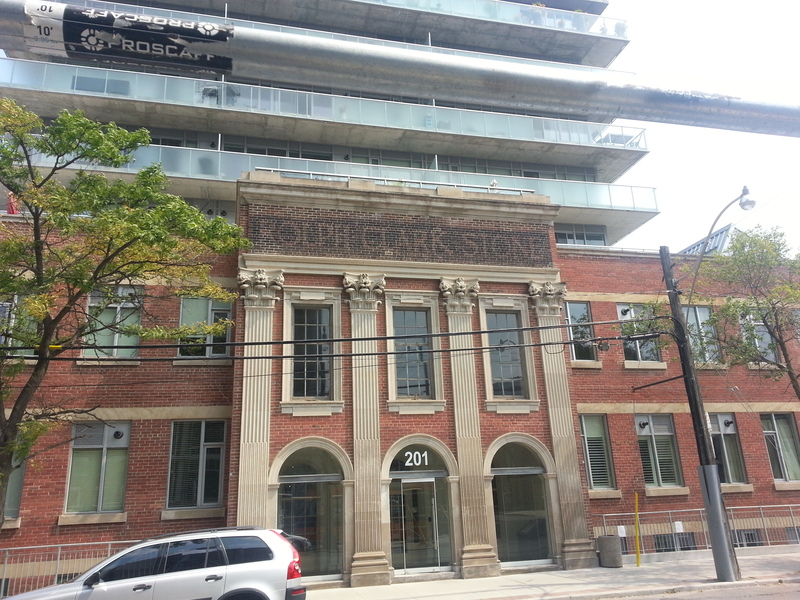 At 201 Carlaw is the long exterior of the Rolph Clark Stone Limited Building, built in 1913, now with a tower jutting up the middle of it . 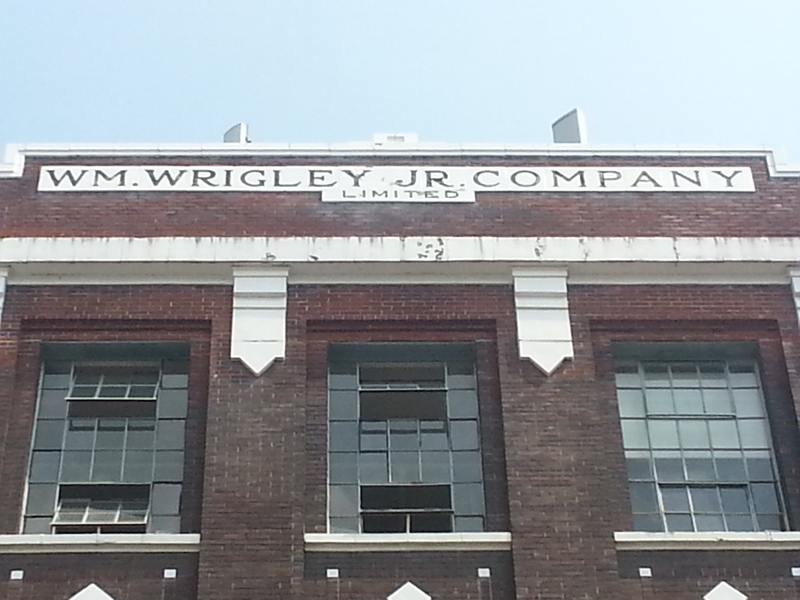 Up further on the east side of the street is the old Wrigleys Gum plant, placed at 235 Carlaw. 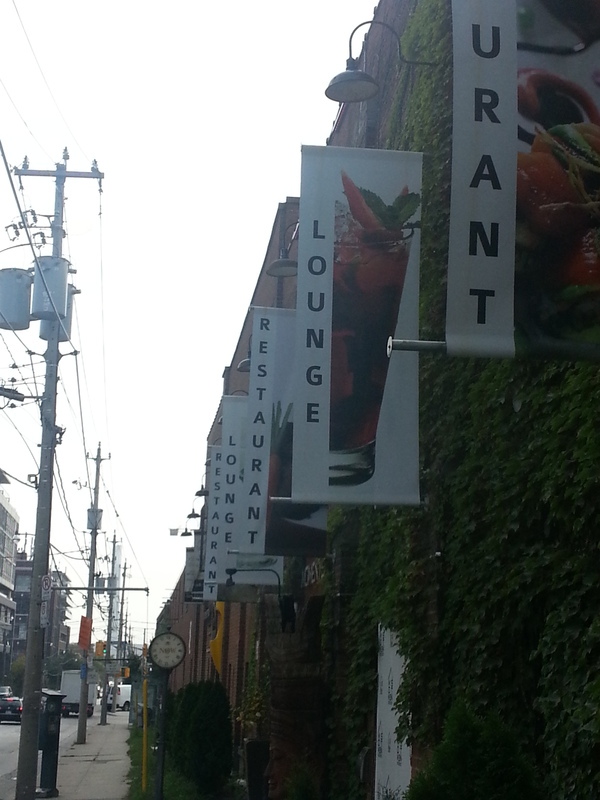 Both establishments are now converted lofts, although old monikers still remain above the doors to remind us of their histories. 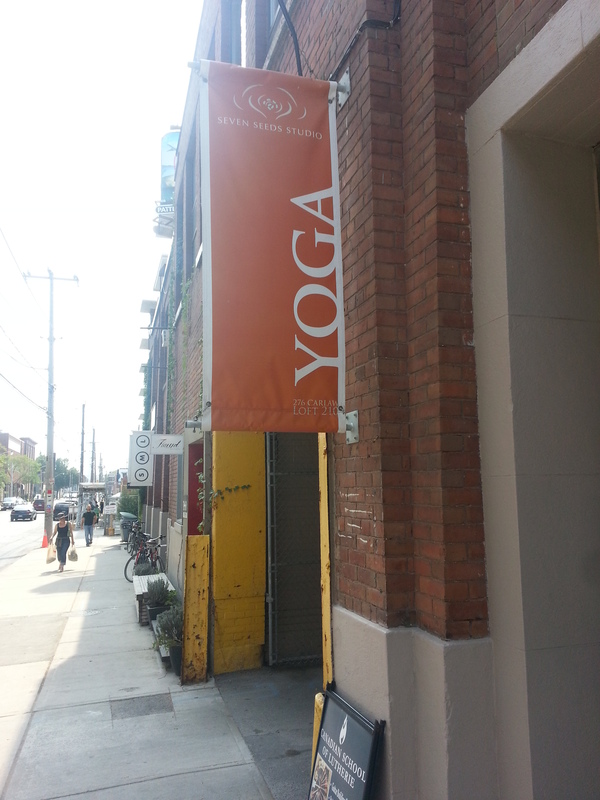 On the west side of street is the former home of the Phillips Manufacturing Factory (address 258-326), now a long brown bricked strip of various new commercial endeavours including a kickboxing club and a yoga establishment. 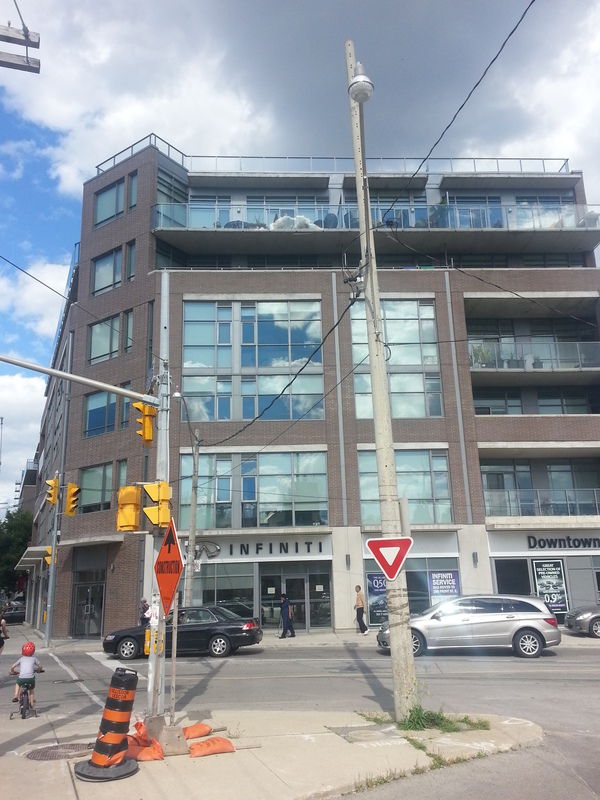 At Carlaw and Dundas several recently completed and recently started condo projects as well as street signs enticing passerbyers to invest. 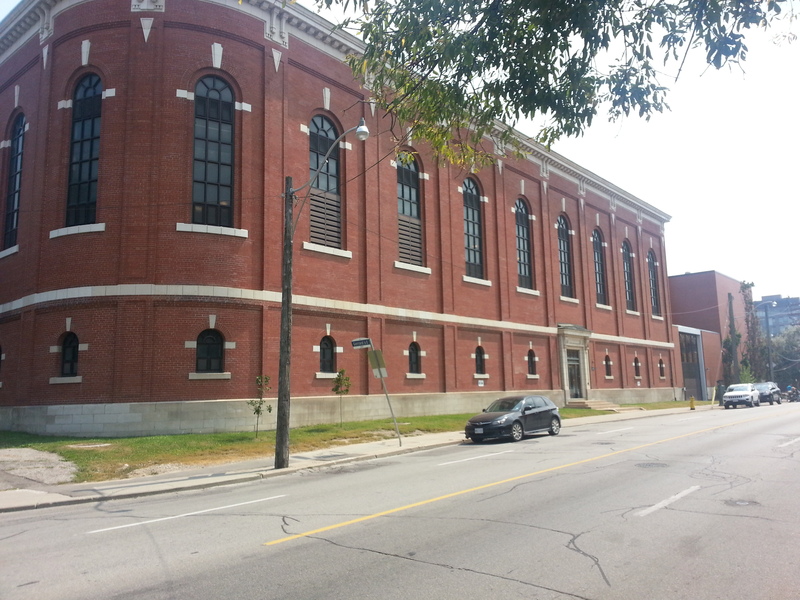 Just south of Gerrard is the grand Toronto Hydro Electric Station. At one time the rounded corner sported a store front, no doubt educating people about the wonder of electric powered appliances in the 20th century. 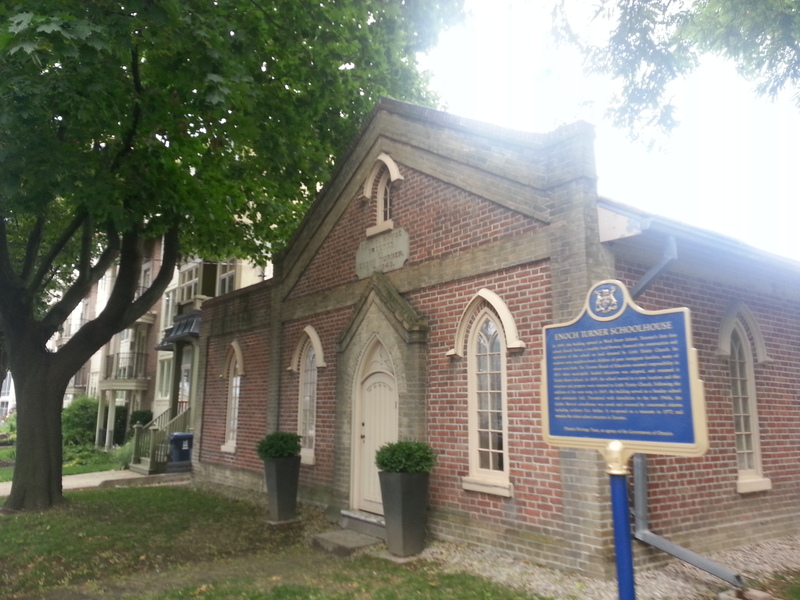 Built in 1916, the station is a heritage property for the City of Toronto. 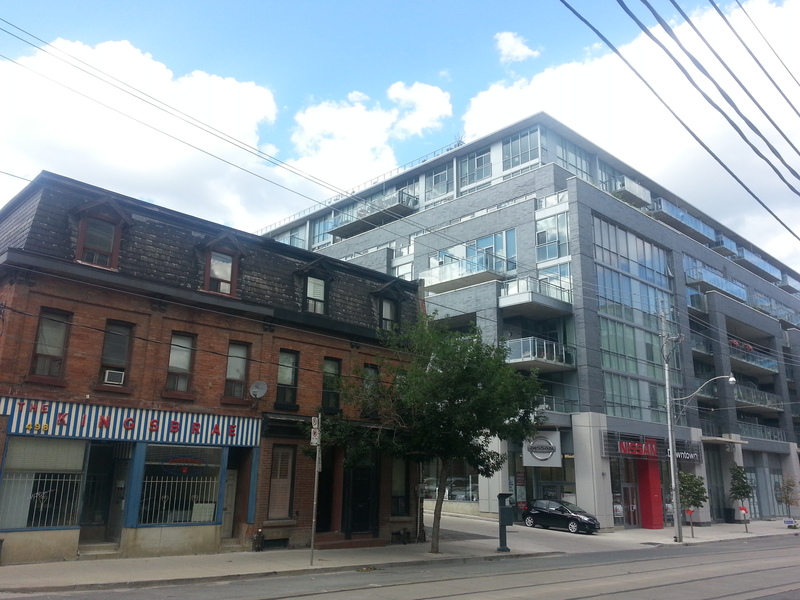 It is not an industrial site (although early factories relied on the railroad), but the cross-section at Carlaw and Gerrard is an interesting focal point as well. 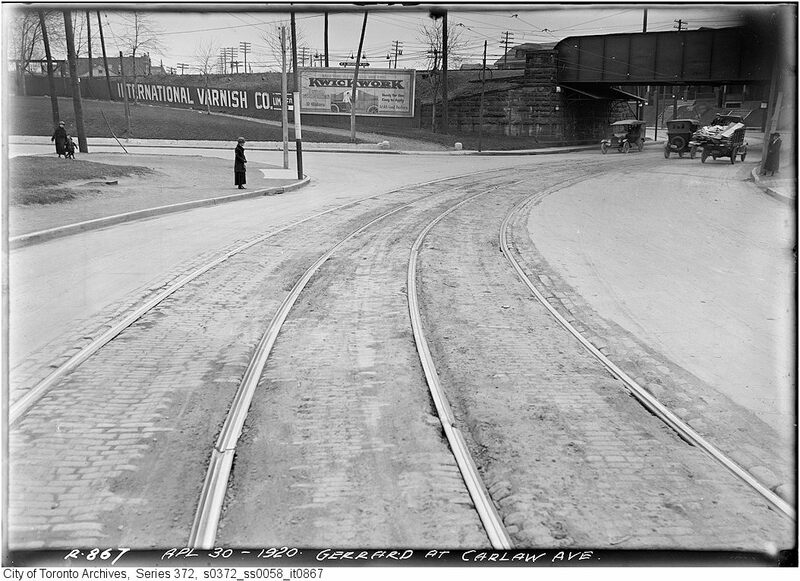 At one time, the large open section of Gerrard underneath the railroad did not exist, forcing the street to dip down and around at Carlaw before resuming a regular east-west route. 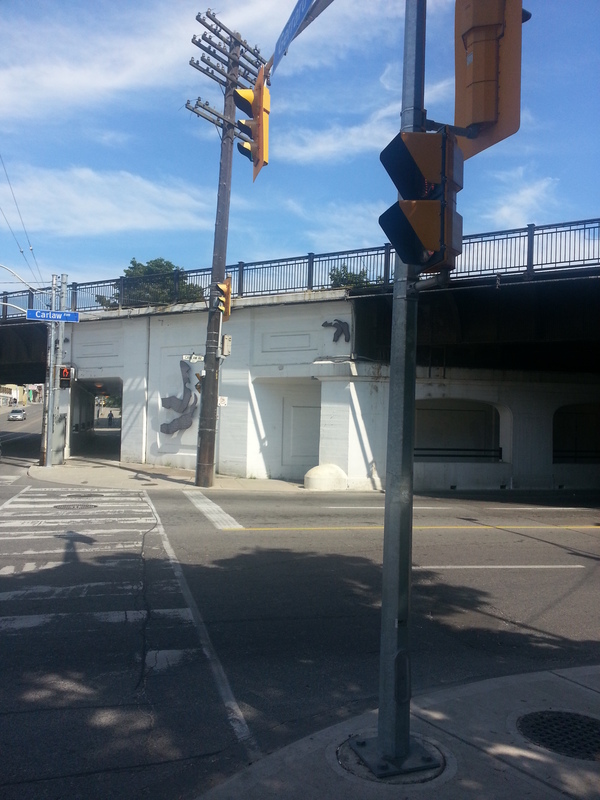 The subway was constructed in the 1930s to straighten the street up. 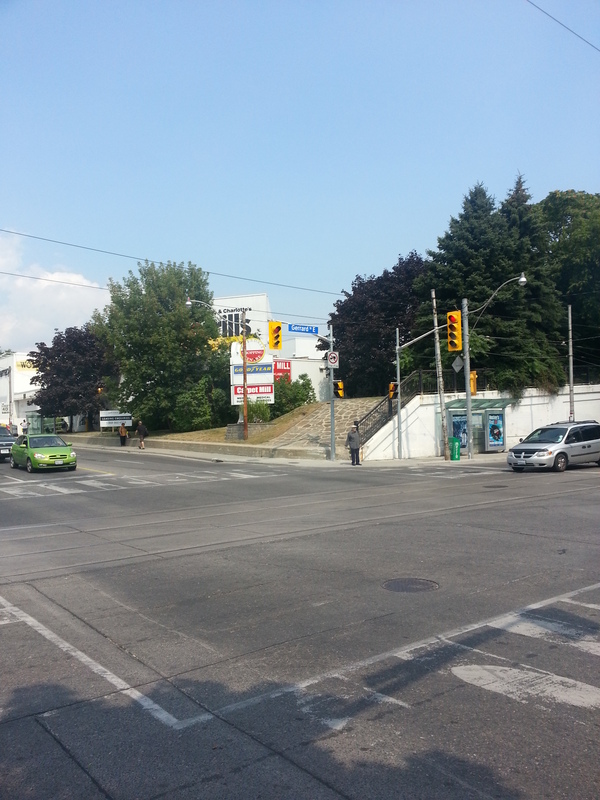 The former route still exists as a narrow residential branch of Gerrard running in northeast-southwest direction , although it stops just short of the main road. 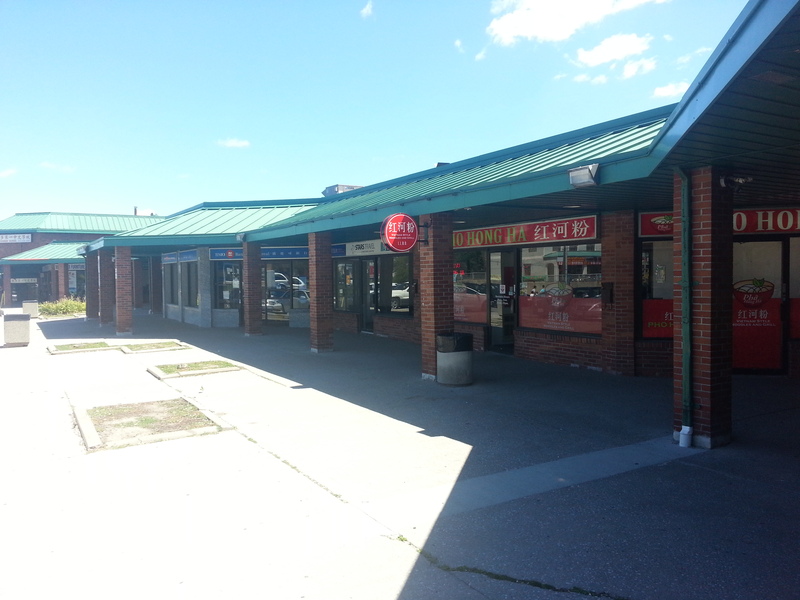 Finally, situated at the northeast corner of the intersection is the Riverdale Shopping Centre, a No Frills-anchored strip mall caught in the shadow of its much larger Gerrard Square neighbour. 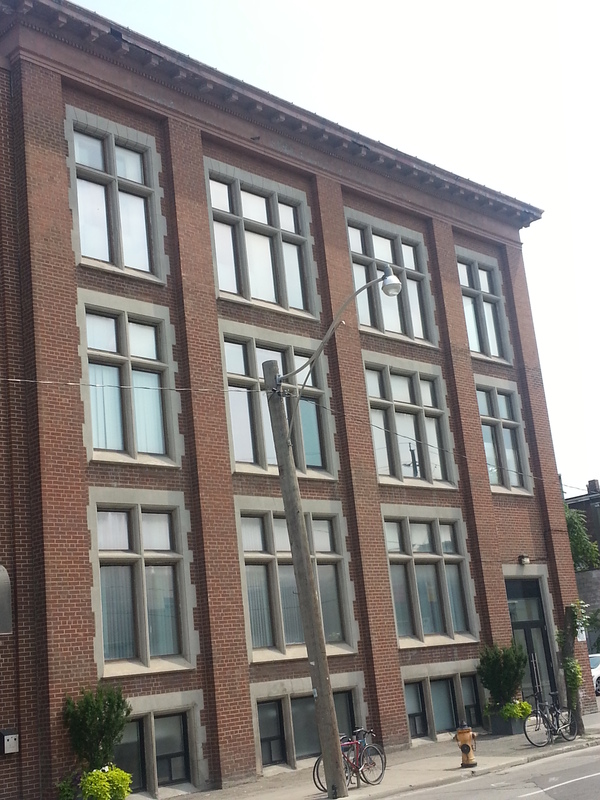 The presence of this site hides that at one time a series of buildings belonging to the International Varnish Company made their home here. 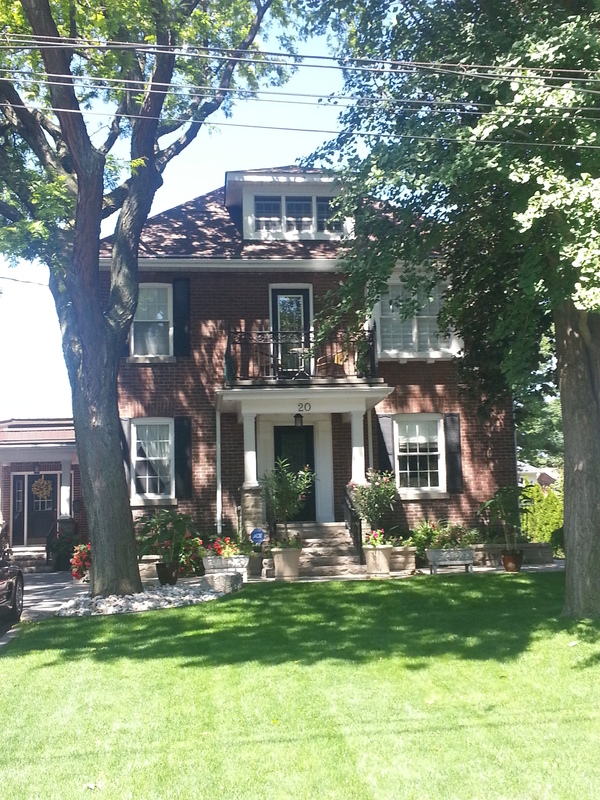 Edwardian country houses, post-war bungalows, 1960s apartment buildings, East Asian businesses, modern homes, condominiums, and LRT lines. 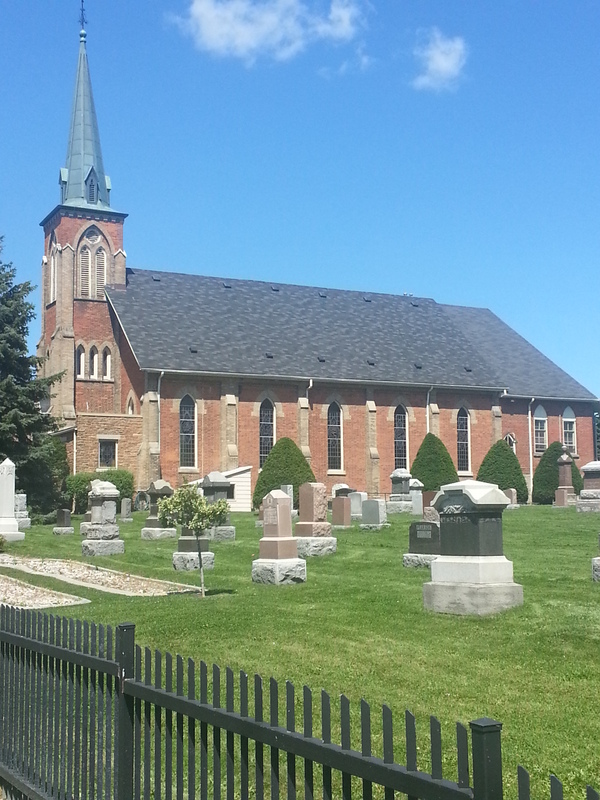 A stroll through “old” Agincourt is enough to showcase the layers of this neighbourhood’s history. 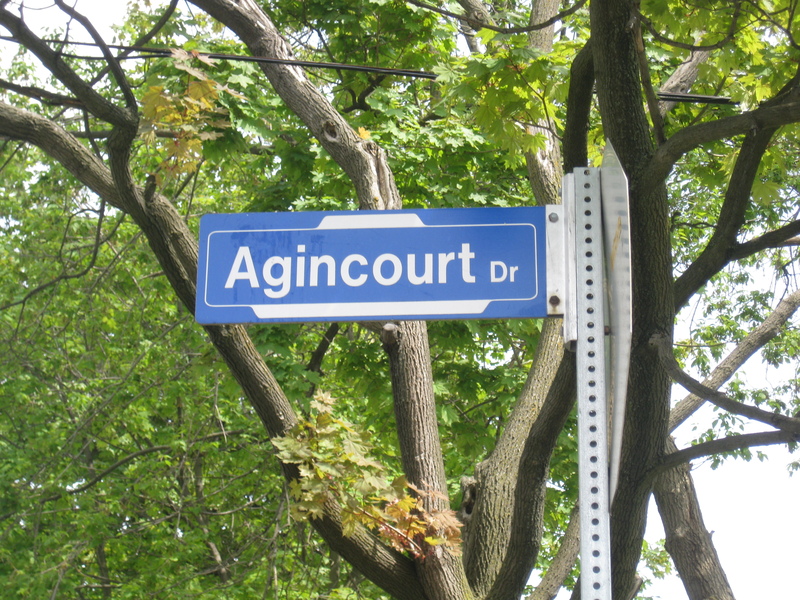 Agincourt began as 19th century farming village far from the reaches of Toronto. 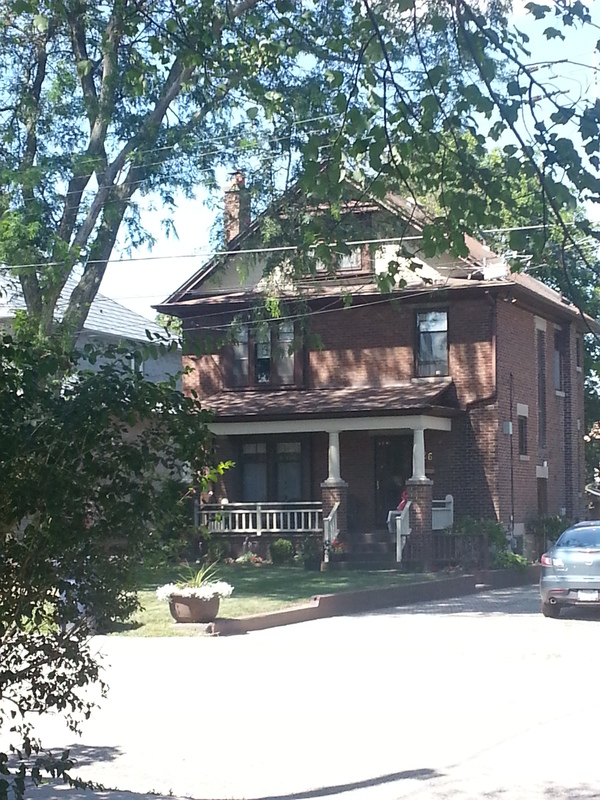 The Edwardian homes are beautiful and unexpected pieces of architectures. 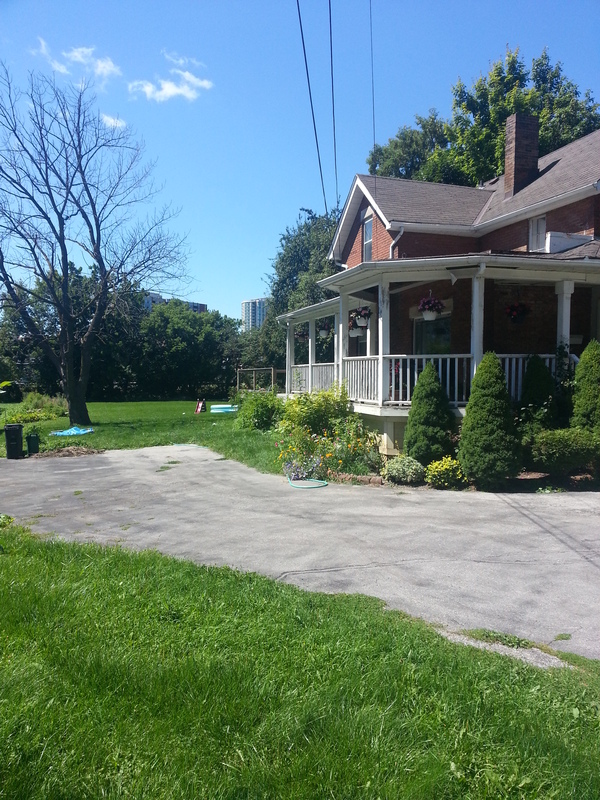 With their great verandas, colourful gardens, and sizable backyard lots, it is fun to stop and examine them. 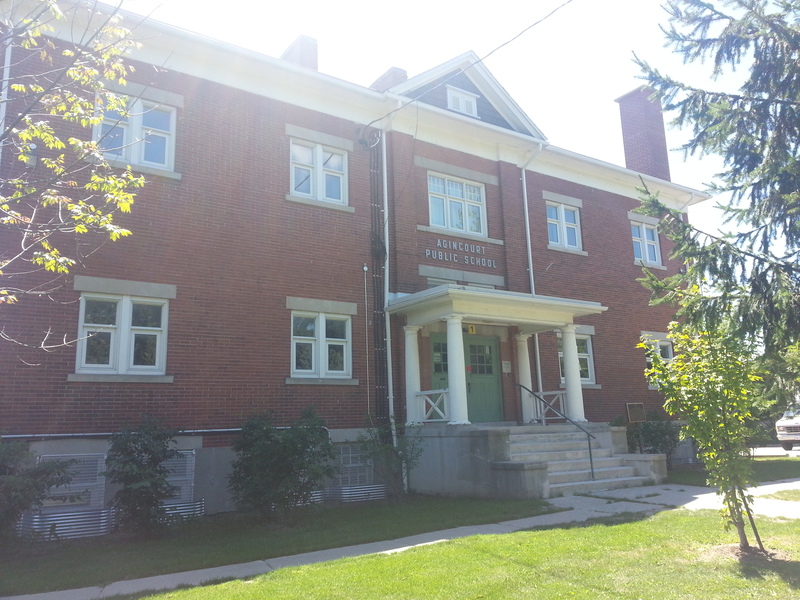 I like to imagine the lives their original residents in the late 19th and early 20th century on streets like Agincourt Drive, Lockie Avenue, Ross Avenue, and Donalda Avenue: how they walked the same streets and went to some of the old landmarks that still exist, like Agincourt Jr Public School, built in 1914. 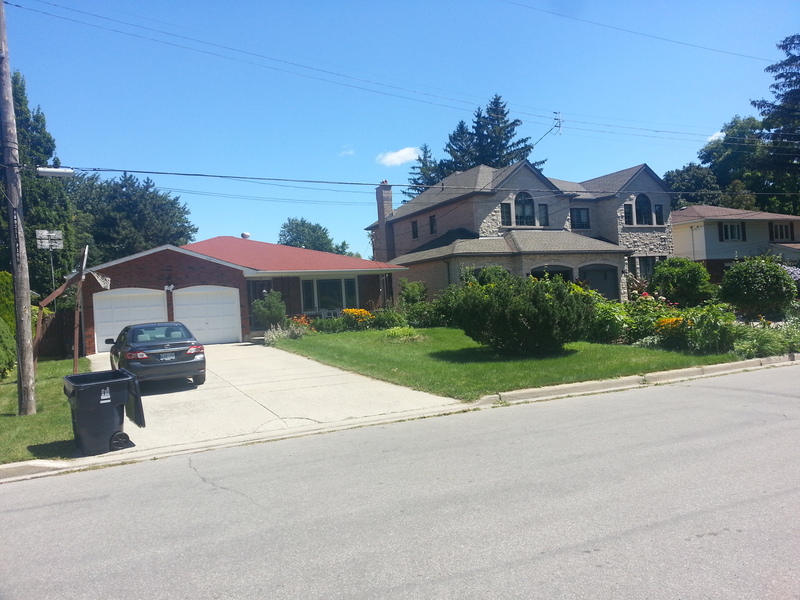 But while this area is lined with historic century old structures and streets, it’s important to note that almost along side them are houses – many of them bungalows – built in the post-WWII suburban boom. 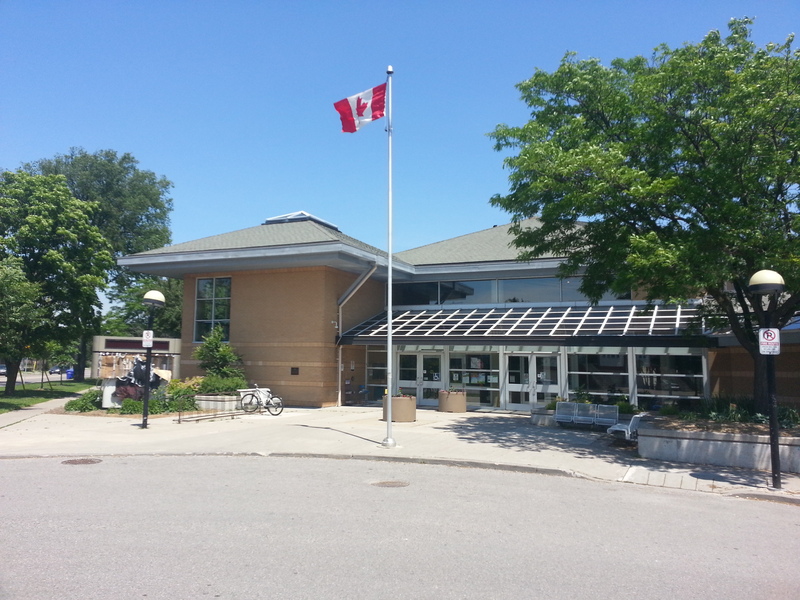 Steps away from the Agincourt Jr Public School – ‘Little A’, as it’s locally known – is its younger ‘big’ brother Agincourt Collegiate Institute. 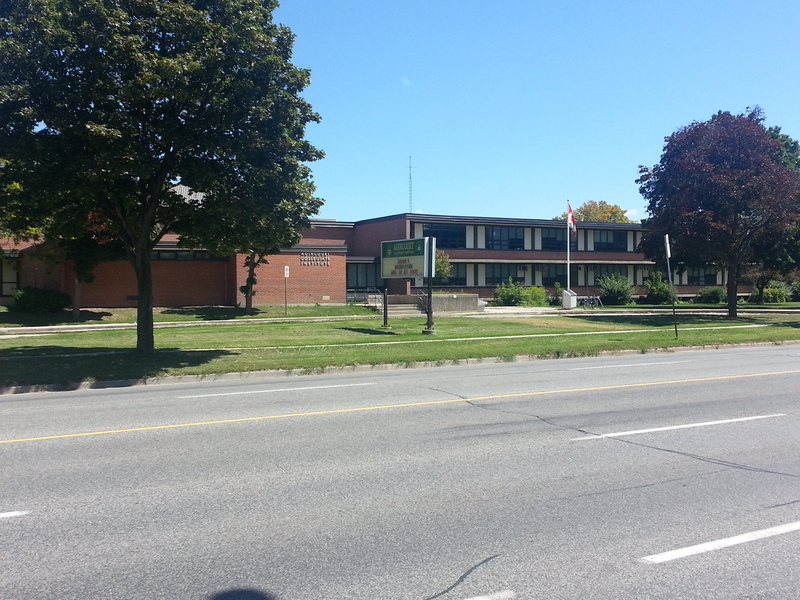 It has the distinction of being the oldest high school in Scarborough, beginning in 1915 on the second floor of Little A, before getting its own building (known then as Agincourt Continuation and later Agincourt High School) on Midland Avenue, which was in turn demolished in the 1950s to make way for the current expansive school. 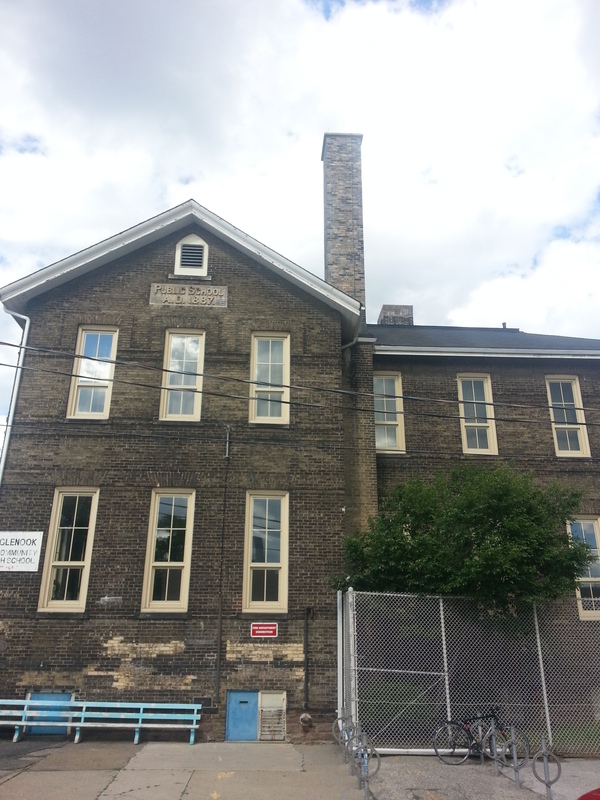 Agincourt Continuation School, undated. 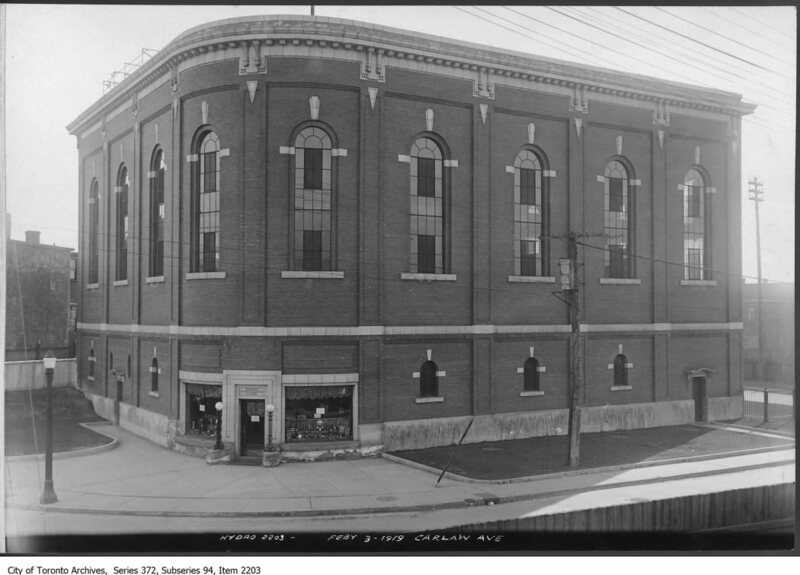 Source: Scarborough Archives. 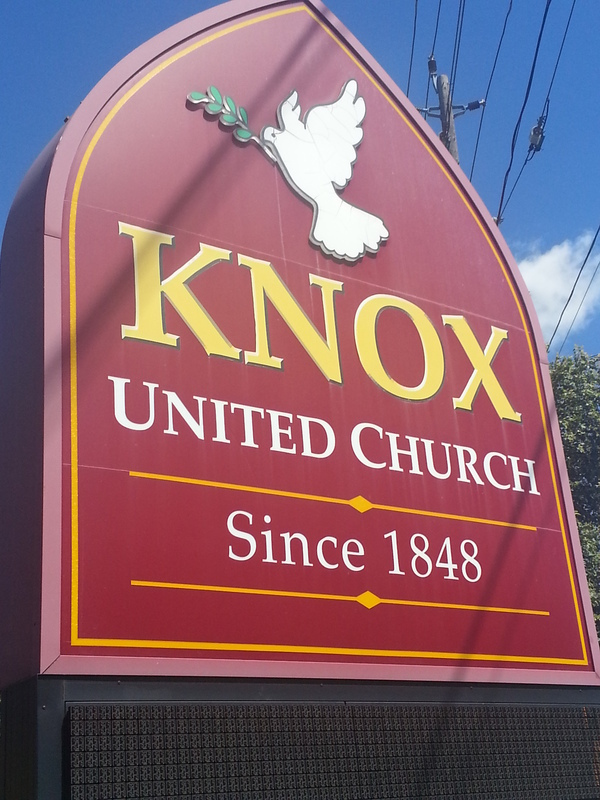 Further down the way on Midland is Knox United Church, another of the old landmarks of Old Agincourt. 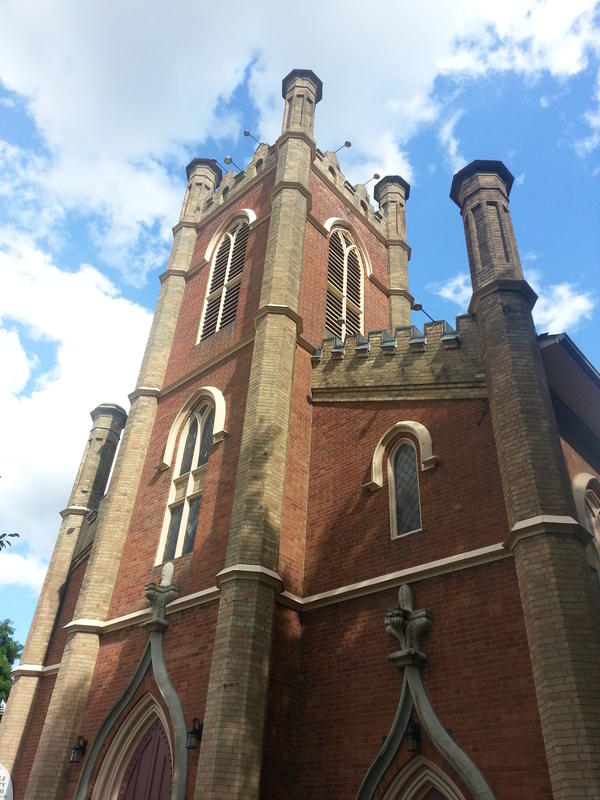 Although the church has had a presence here since the mid-19th century, the current building dates from 1872 when it was known as Knox Presbyterian Church. 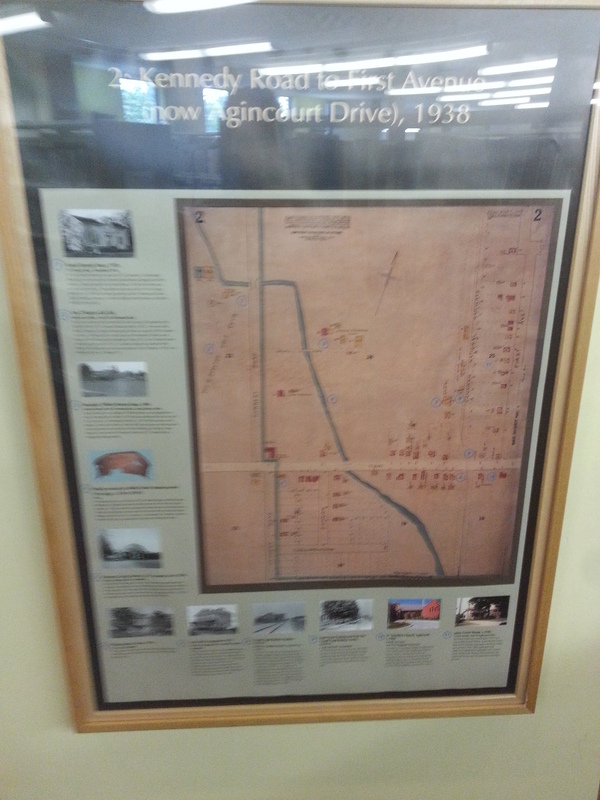 Up Glen Watford is the Agincourt Recreation Centre. 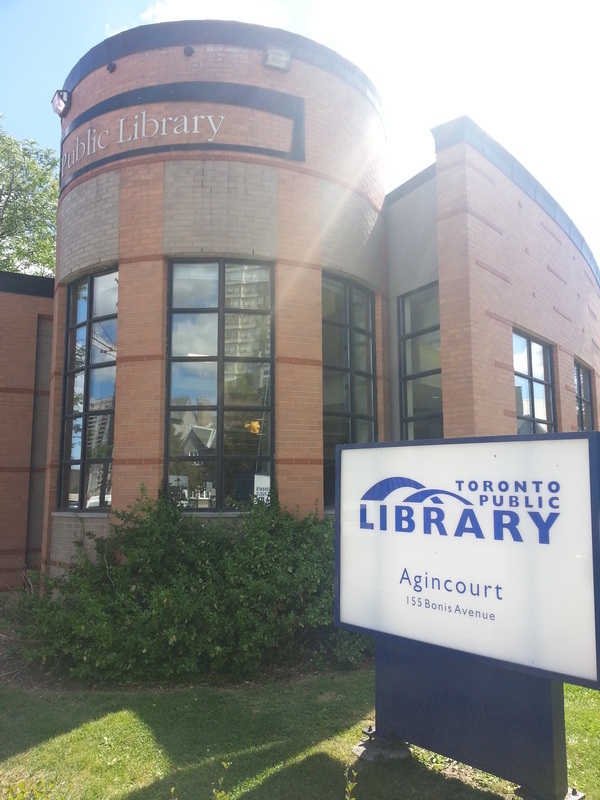 It’s the second of its kind as a neighbourhood gathering spot, following the old Agincourt Community Centre. 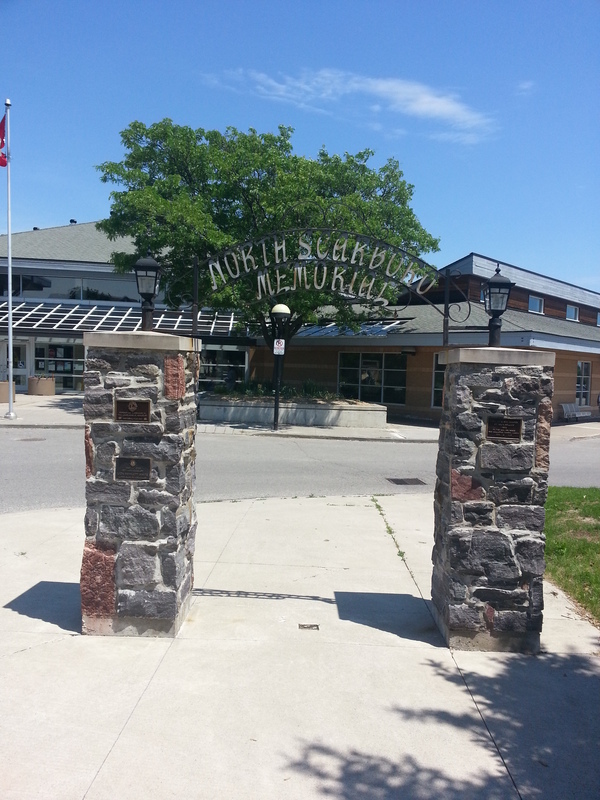 There’s a neat little gate from 1951 in front which serves as a great tribute to North Scarboro (note the spelling) and Agincourt. 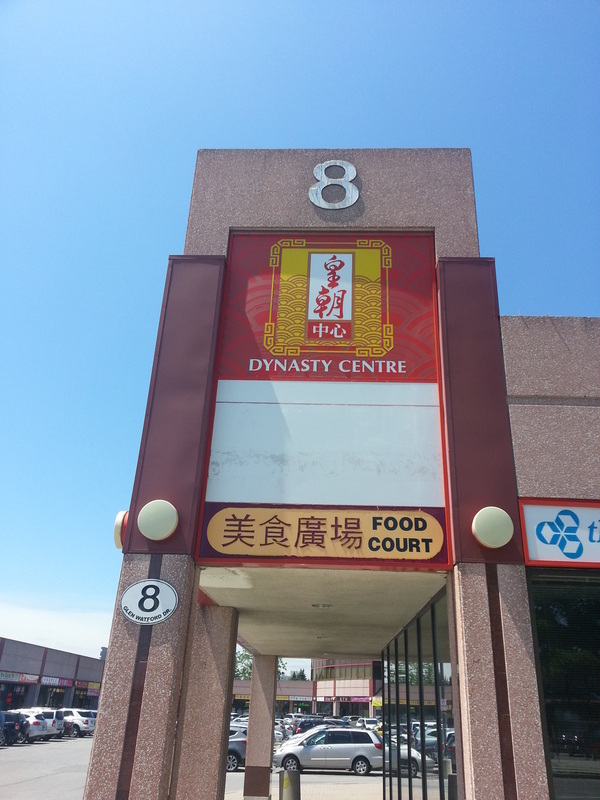 Also on Glen Watford, one can find the Dynasty Centre – a largely East Asian commercial centre reflective of the cultural and culinary diversity of Agincourt and Scarborough as a whole eventually came to known for. 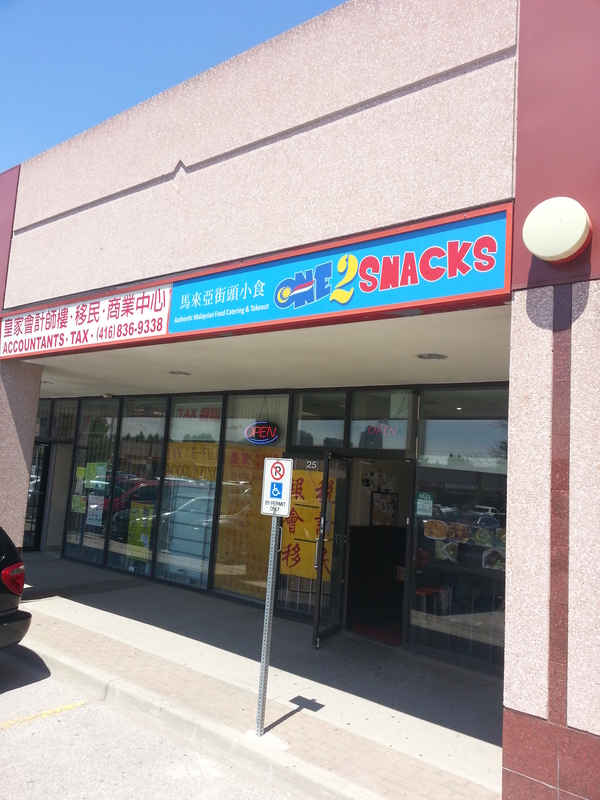 It’s home to One2 Snacks, a reputable and delicious Malaysian eatery. 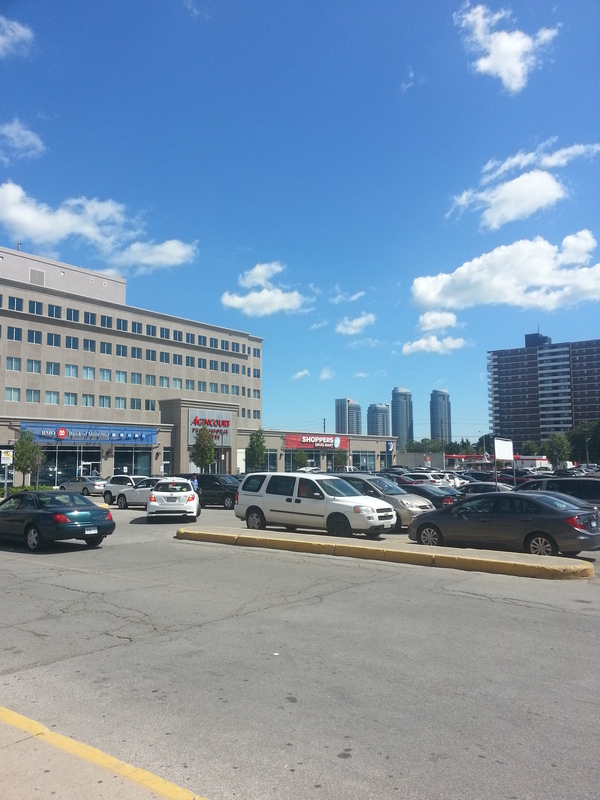 Midland and Sheppard is the western border of the Sheppard East Village BIA, and many Asian enterprises hold membership in it. 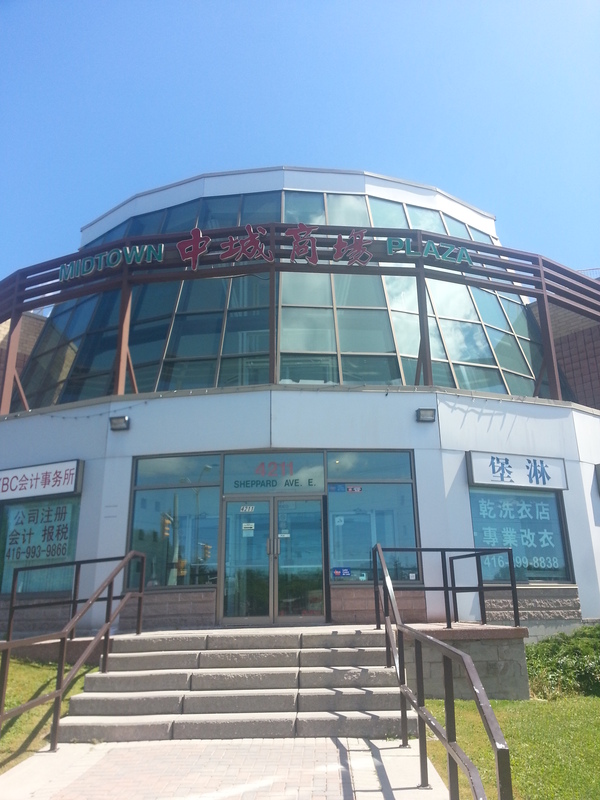 Many of the businesses display dual languages as a result. 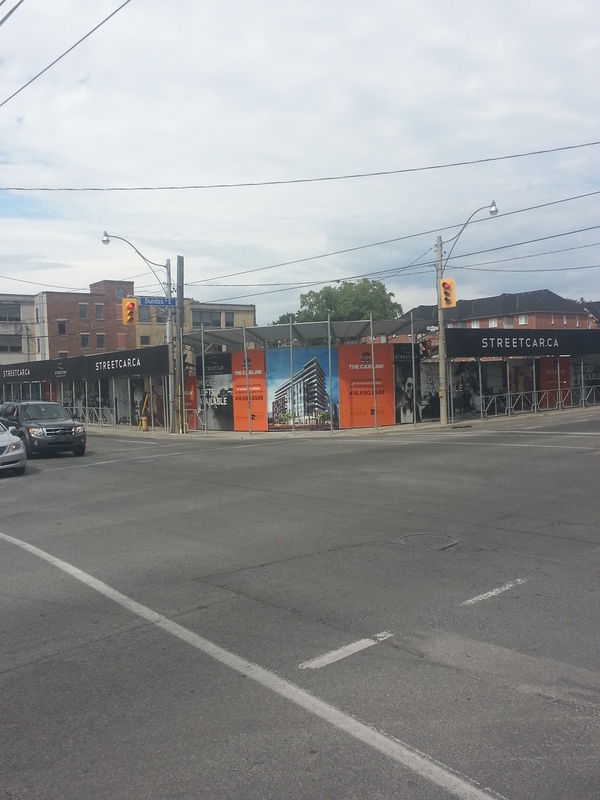 On the southwestern corner of Midland and Sheppard is an empty, abandoned, derelict flea market. 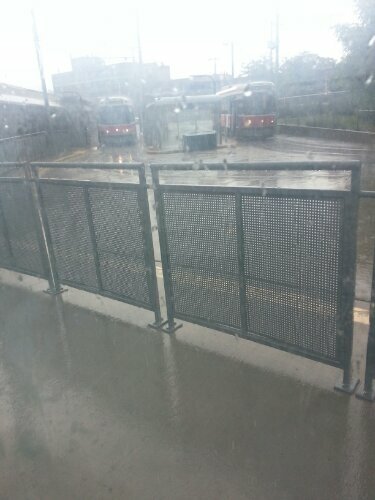 One wonders what’s to come of it. 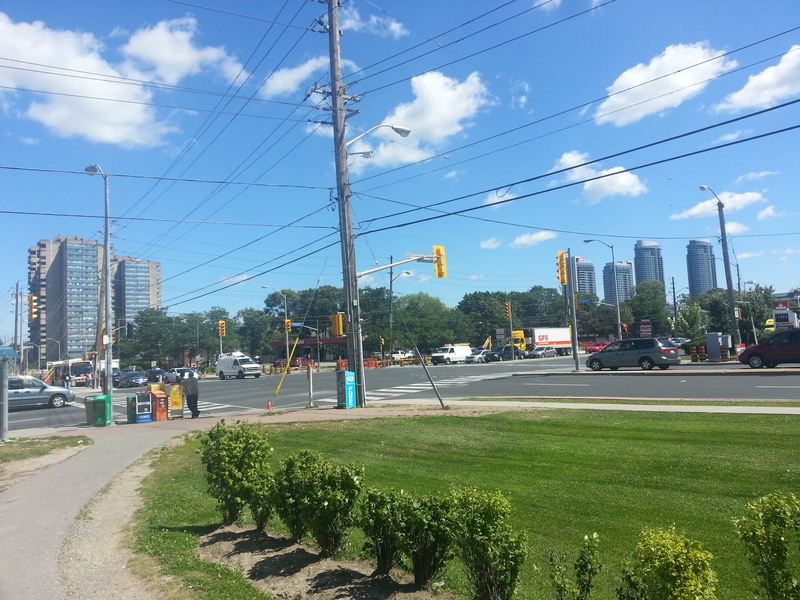 The stretch of Sheppard between Midland Ave and Kennedy Road has seen a lot of activity lately. 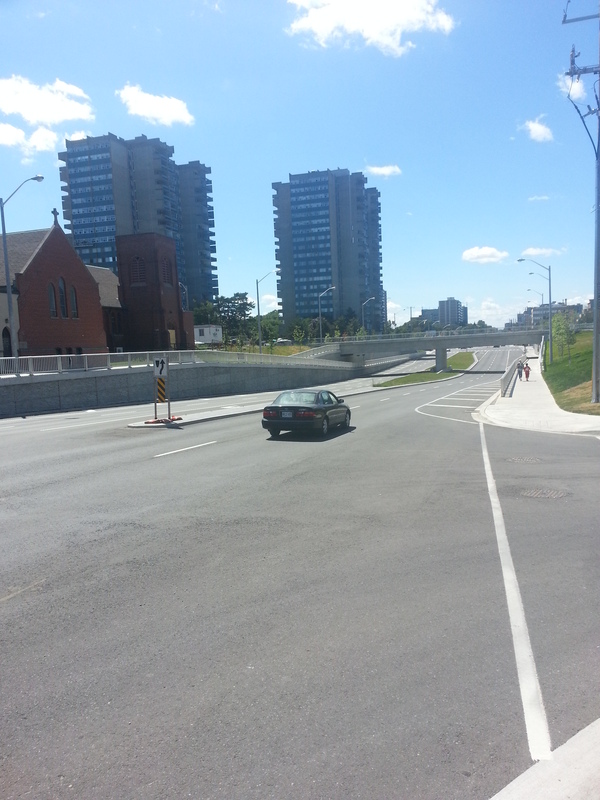 The recently completed railway underpass project has returned traffic to non-chaotic levels. 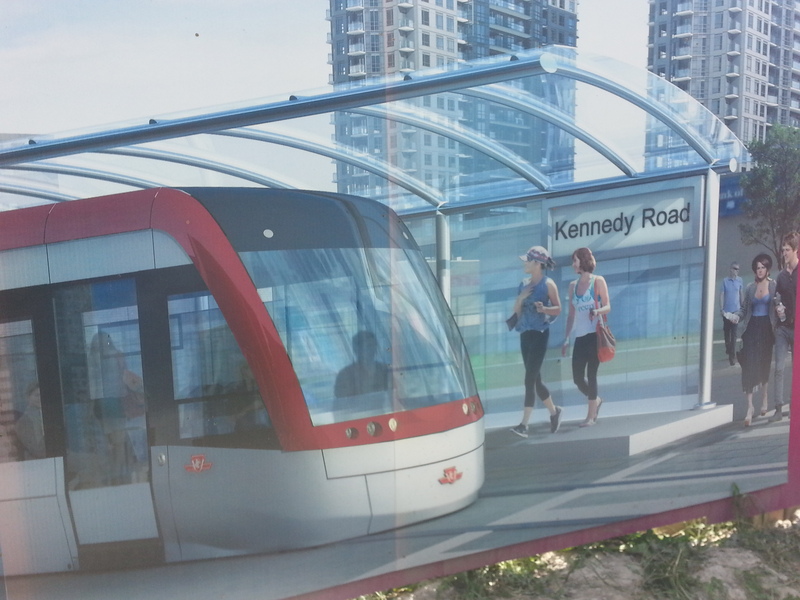 The Sheppard East LRT should run through it – eventually. 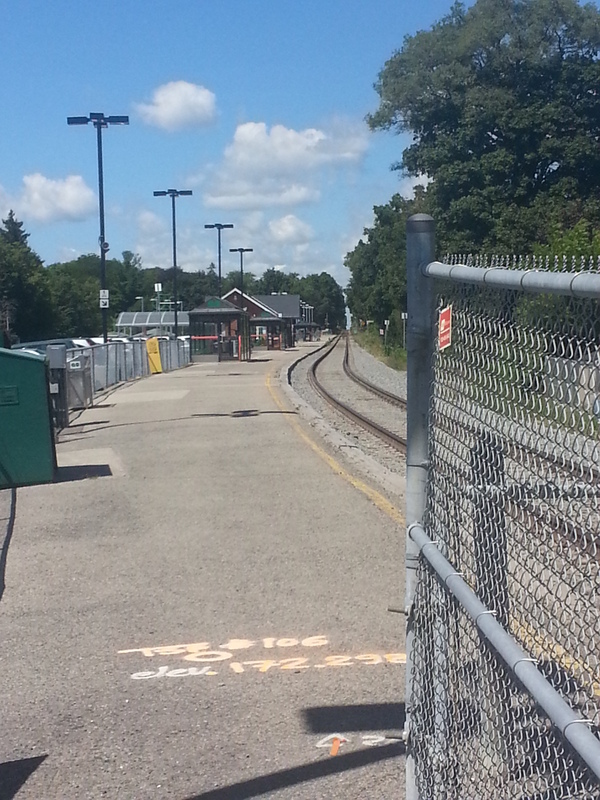 The railway was an important marker in the village’s growth, and today there is a GO Station to move people and in and out. One can also pass by several old homes that have been (horribly) converted to commercial enterprises as well a very depleted and urbanized Highland Creek. 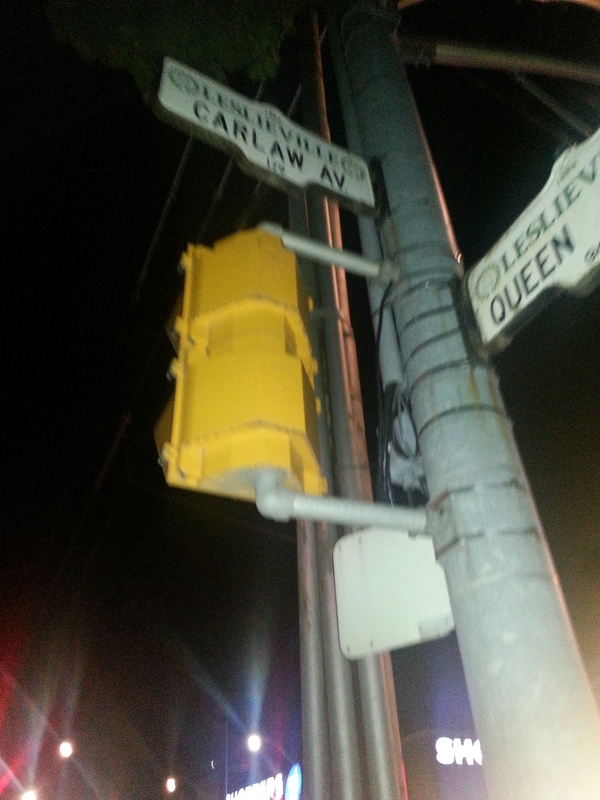 At the corner of Kennedy and Sheppard stands Agincourt Mall. 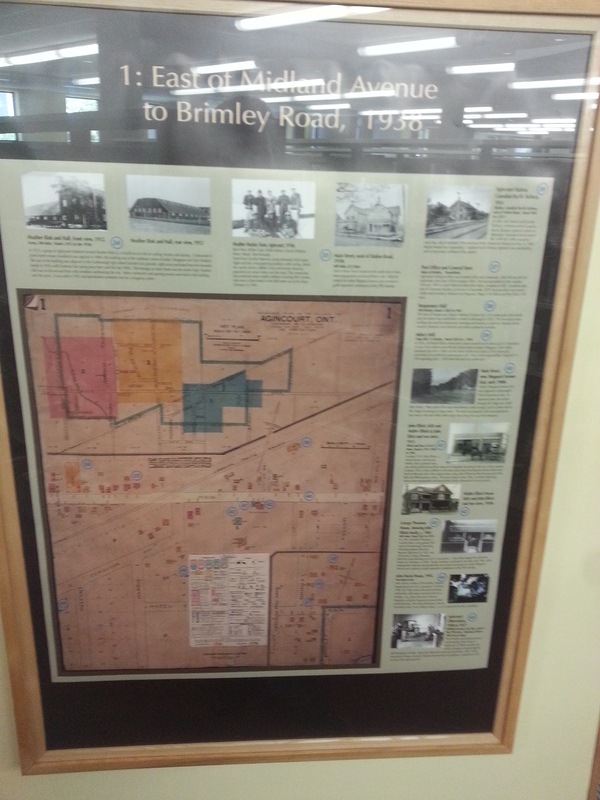 My memory recalls when Walmart was a Woolco, No Frills was a Loblaws, and the complex with Shopper’s Drug Mart and BMO did not exist. 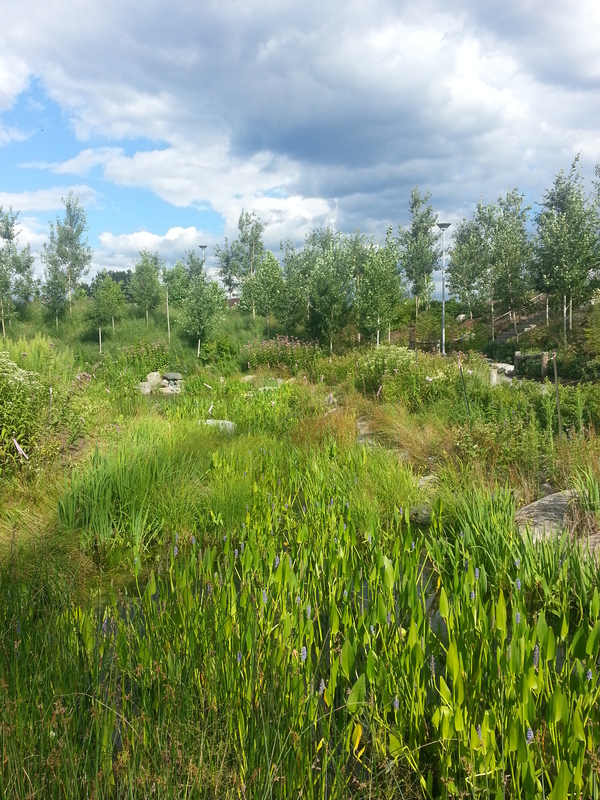 There was also a gas station on the northwest corner where the path and greenery exists. 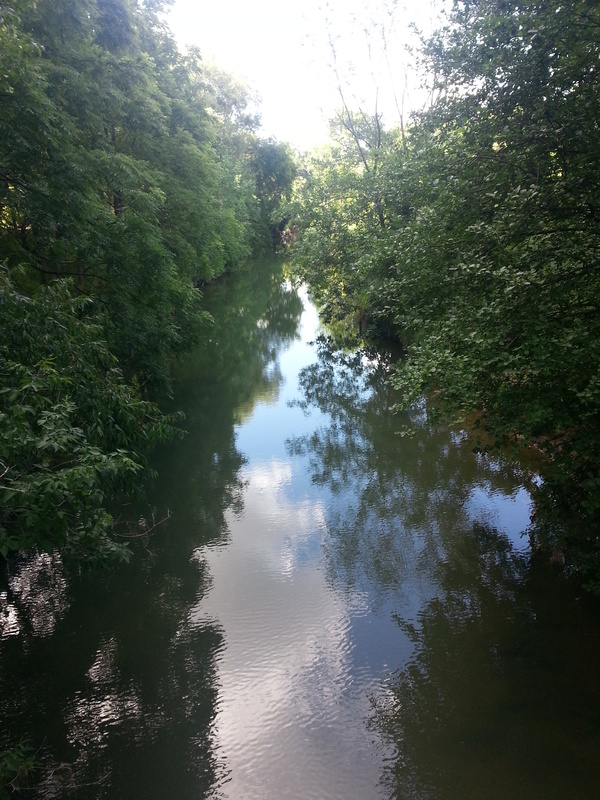 On the west side of Kennedy north of Bonis is a bridge with a great view over the Highland Creek. 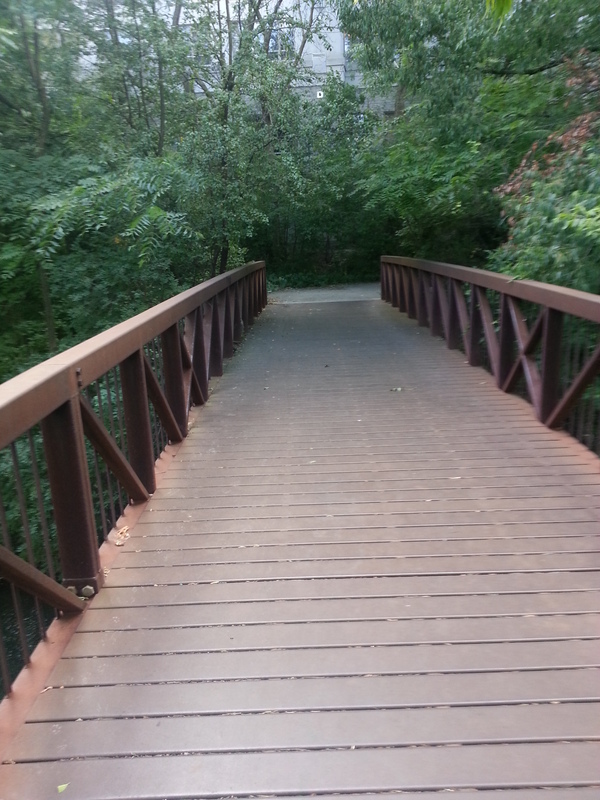 The trail it leads to offers a nice escape. 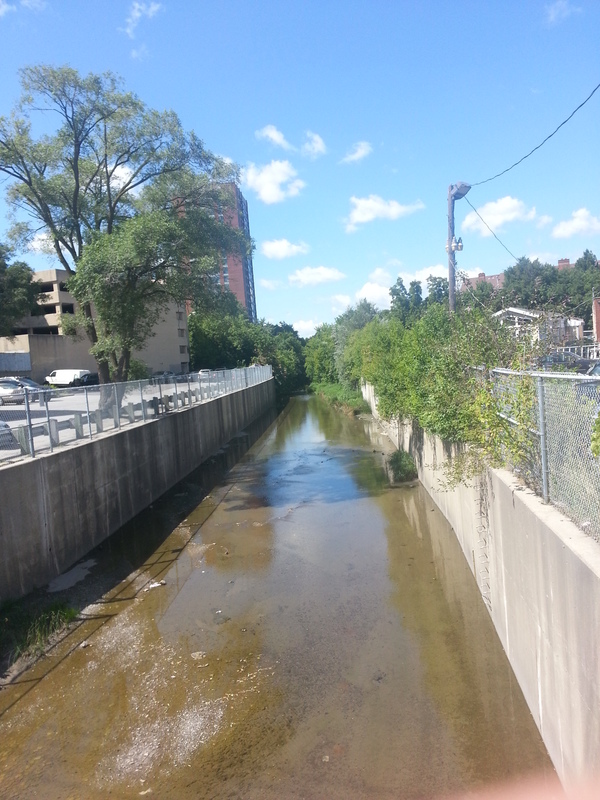 It’s hard to imagine that this creek at one time might have been vital to the original residents and their crops. 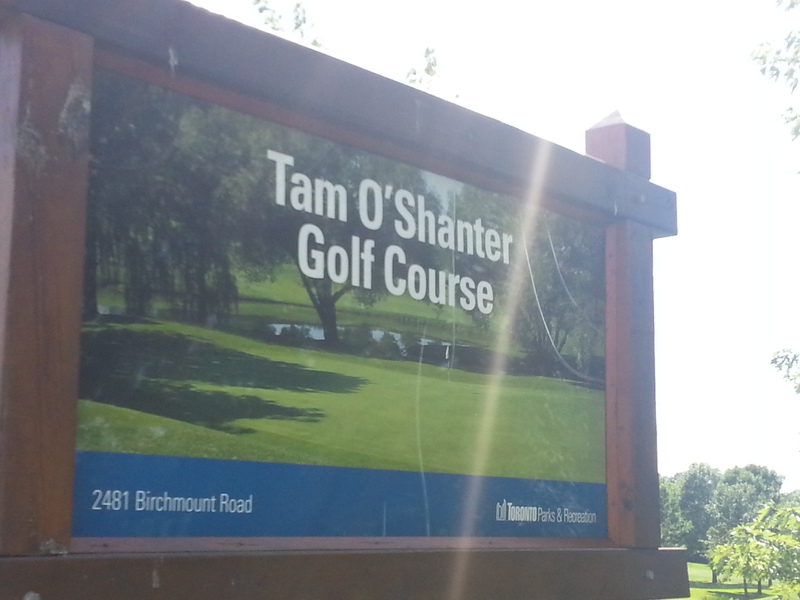 Today their farms are covered by the houses and businesses (including the Tam O’Shanter Golf Course) of later generations. 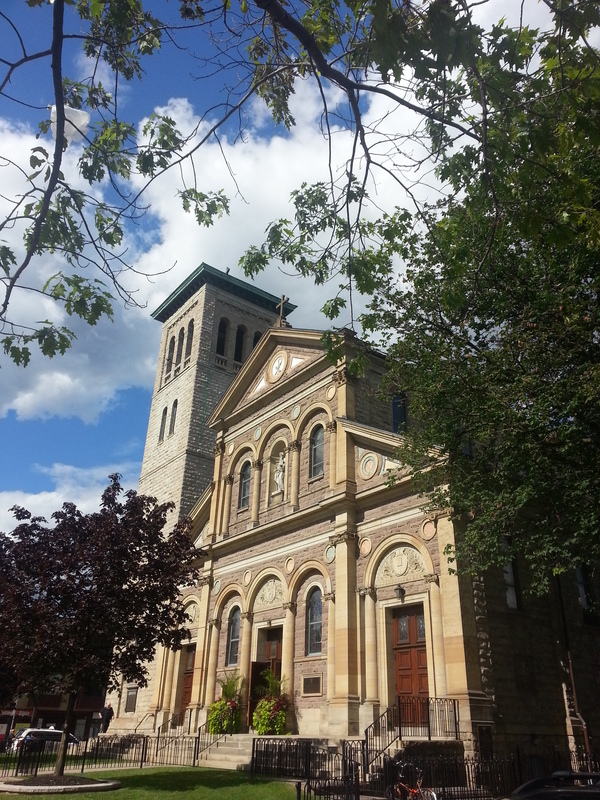 Once the home of working class Irish immigrants, walking the storied streets of Corktown one can see a showcase of the old, the new, and old and new side by side. 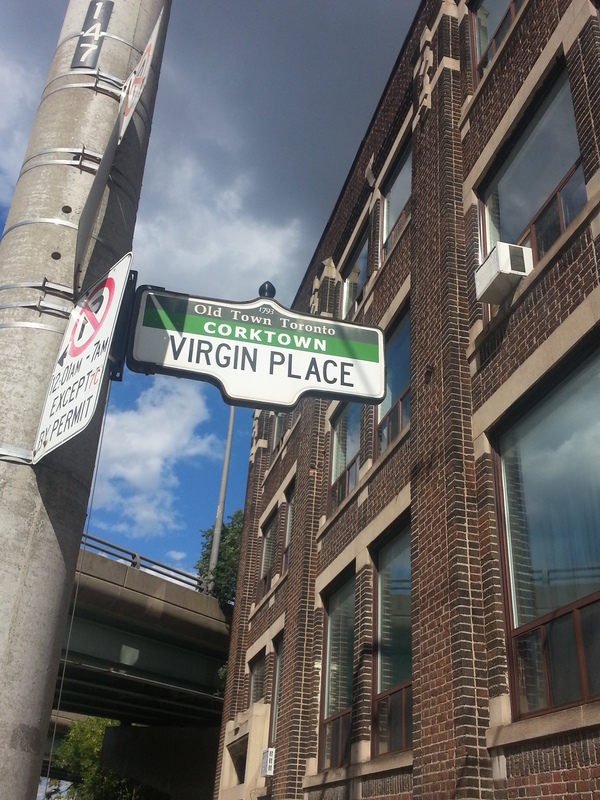 Long past its days of being a working class neighbourhood, Corktown, like its sister neighbourhood Cabbagetown to the north, has become a gentrified hotbed just outside of the downtown core. 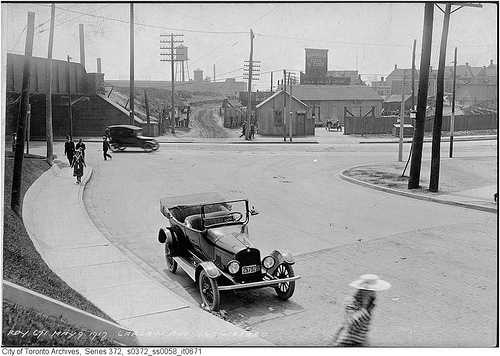 Corktown’s street layout has been reconfigured over the years to account for several changes in the neighbourhood. 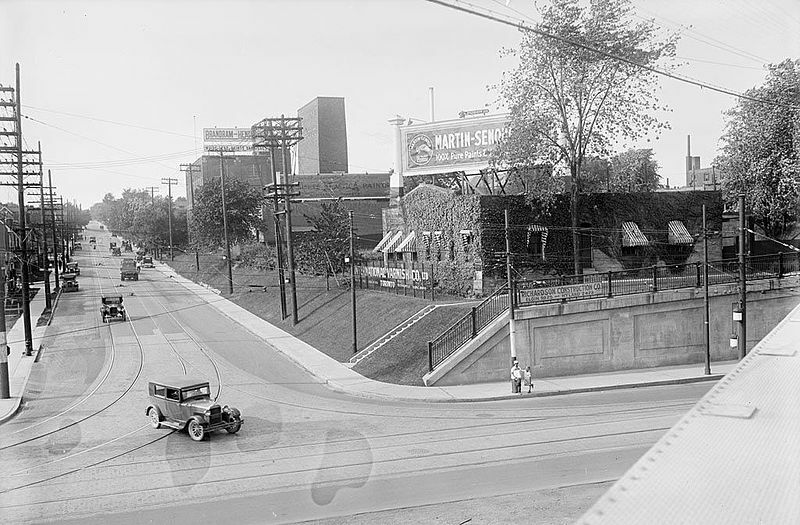 The razing of the House of Providence south of St. Paul’s Basilica allowed for the extensions of Adelaide and Richmond (which were Duchess and Duke, respectively) toward the Don Valley Parkway in the 1960s. 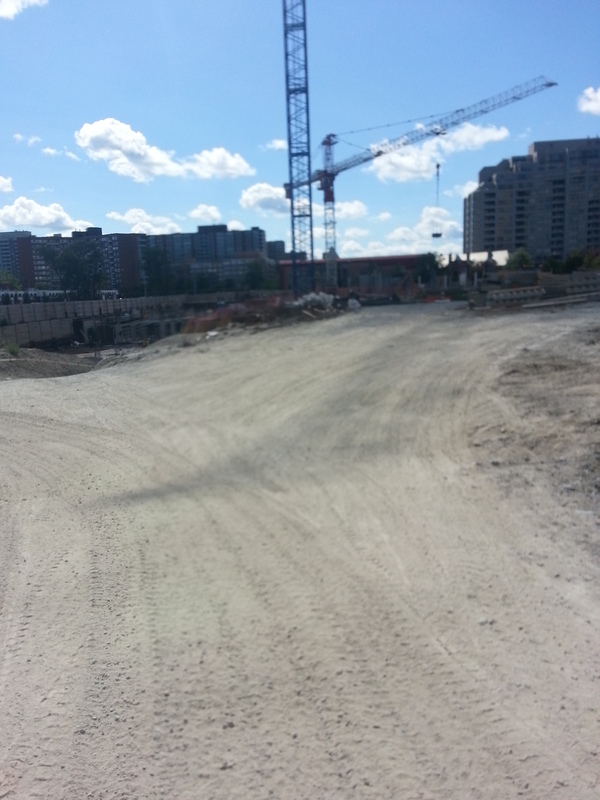 In more recent activity, River Street was extended south of King Street for the Don Lands development. Walking the streets of Corktown, I could trace the various aspects of life a resident would have encountered: the residential 19th century rowhouses on Trinity and Percy streets, the markets and factories on King Street, the religious institutions of Little Trinity Church and St. Paul’s Basilica, to the educational institutions like the Enoch Turner Schoolhouse and Inglenook (Sackville Street) School. 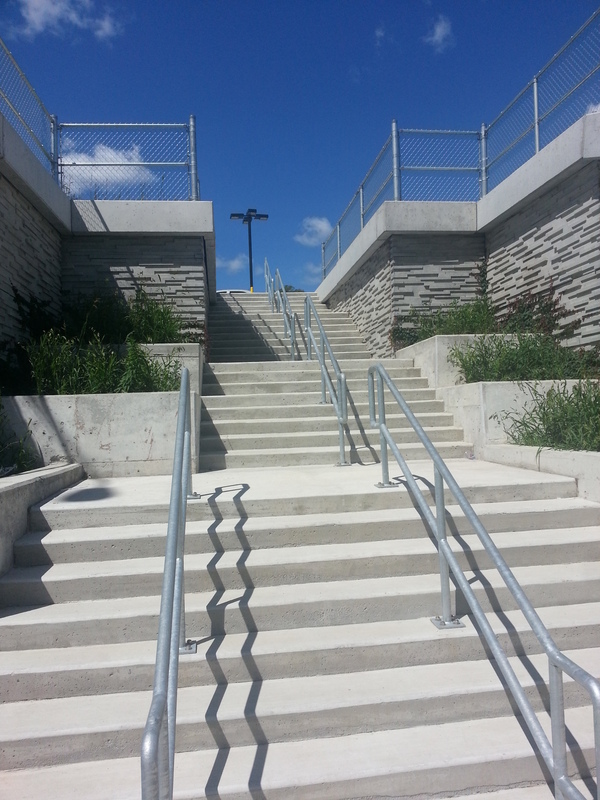 It made it an experience to walk those steps. 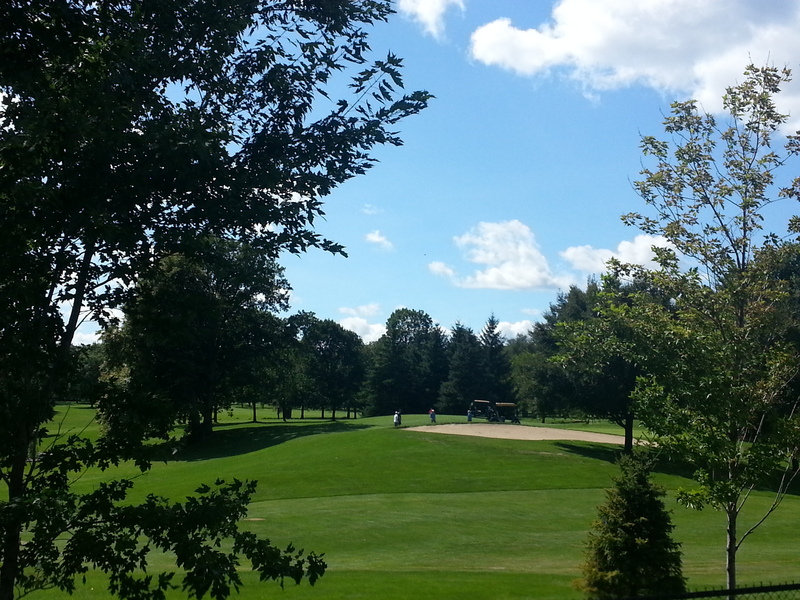 And in the same sense, I could look forward into the future of the neighbourhood. 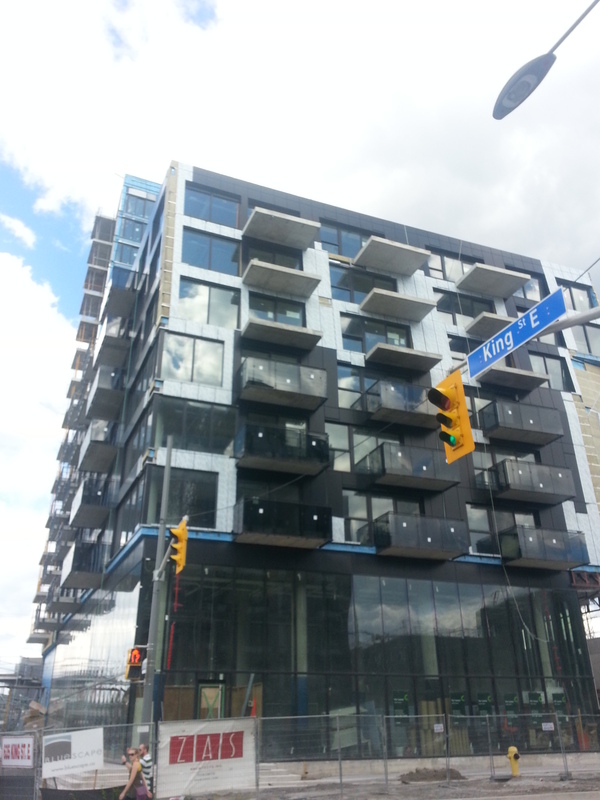 Condo buildings erecting on King Street and the rippling effects of the nearby construction of the West Don Lands community and aptly named Corktown Commons parkland tells me of a neighbourhood going through some changes.